Baidu is currently the principal search engine in China, and China is a huge country with over one billion of people. That is a lot of potential internet users doing a lot of searching. 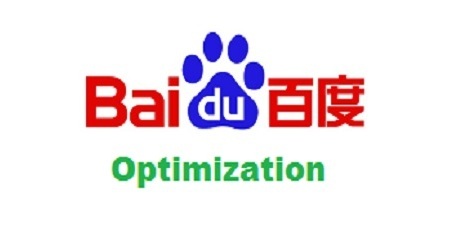 Here are some interesting tips on how to optimize your website for Baidu. In the year 2000, there were only 22 million people with access to the internet and that is just 1.7% of the population. By the year 2011, that number went up to 513 million, which is an astonishing 2,180% increase. Baidu, with 78% share of the search engine market, had over 400 million users in 2011. Just to put this into perspective, that is almost double of Google.UK and US users put together. If the amount of internet users continues to increase at the same level as in the UK and US, China will have almost 1 billion internet users, with more than 700 million using Baidu and that is a lot of searches on the same search engine. The basic on-page and technical SEO elements you will need to start dominating Baidu as compared to Google. Baidu’s crawler and ranking algorithm is still not as advanced as Google, so it relies heavily on on-page information, which is why it is very important to get this spot on. Meta description and title tags are the same as for Google and are very important. Make sure they are well optimized for each page, unique, etc. They key difference here is that Baidu still reads meta keywords, so you have to make sure that they are present on your website and well optimized for the keywords you are targeting for those specific pages. In order to get optimized in Baidu you have to use Chinese TDL. Baidu will rank these primarily, there are .cn and .com.cn. And your website should be hosted in China. Baidu have their own webmaster tools, same as Google and Bing. It is not as advanced, but you will be able to submit information such as your sitemap, robots.txt files, check your website for errors among other things. It is Chinese, being that it is from China, but Google does a pretty good job of translating it if you are on Chrome. Baidu does rank English content and have partnered up with Bing recently to display English results, but this is halfway down the page. So, if you want to dominate Baidu, you will need to use simplified Chinese. If you do not know how to write Chinese, get a translator, translate your website, but you have to make sure it’s in Chinese. Also you have to keep in mind that China Government has placed a censorship on certain keywords so, make sure to do your research before writing a content for Baidu and check if there are any sensitive keywords present on your website, because your website will be de-indexed if there are any. Website codes is same as Google. That is, you have to stay away from flash frames, etc. Propably anything that the crawlers cannot read you might not want on your website. So, make your website code clean and fast. Baidu’s crawlers will not crawl as many pages or as deep as Google’s crawlers does. So, you have to keep all your important pages which you want to rank on the top level and menus are not going down too deep. Keeping it simple is really important in Baidu optimization. It is indeed a good article on Baidu SEO and cleared my doubts. Baidu has become very important in China & on-page and technical SEO elements are well stated. Thanks Sri Ram for your inspiring and lovely words.